We’ve rounded up some cute ways to use Fairy Lights In DIY Projects and you are going to love to make them. Check them all out now and Pin your favorites. Is there anything sweeter than Fairy Lights? There are so many ways you can use them. We have been on the hunt and we are pretty sure that you are going to love these great ideas. The first that we are sharing is from Kelly of Smart School House. 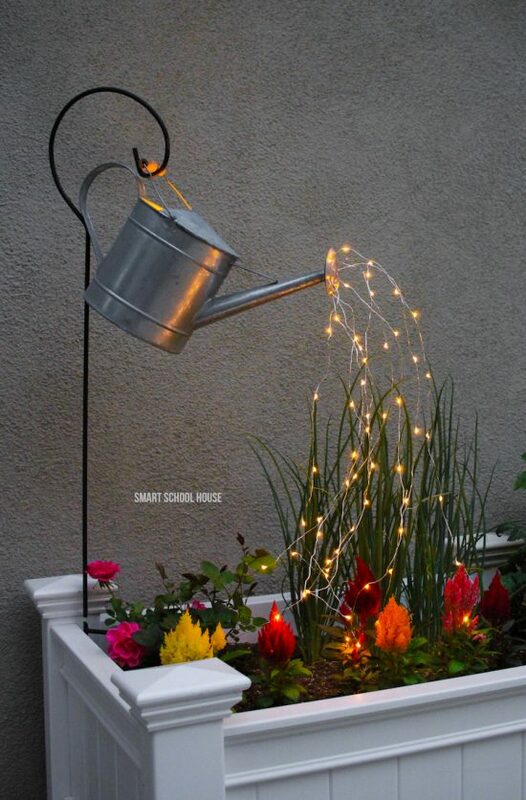 When we saw her Glowing Watering Can, we fell hard! Kelly’s post has been so popular that her post includes photos of projects that are made by her followers. What we particularly love about this project is the simplicity. It is very easy to put together and it looks fabulous. You can even switch your Fairy Lights onto flash mode.